That old adage often rings true for business professionals. After all, the network accrued at business school is considered to be one of the top benefits of getting a degree. One region you may not have considered as a career destination is the United Arab Emirates. The UAE is becoming a hotbed for Fortune 500 firms, as the Gulf states diversify their economy and welcome foreign investment. If you do consider a move to the Middle East, an alumni network will be critical. Alumni will help you find a job, apartment or school. More importantly, they'll help you adapt to a different culture. That's according to Viola Polakowska, head of alumni relations for City, University of London and Cass Business School. We asked Viola how Cass students can utilize its sprawling network of 38,000 alumni. And why Dubai is becoming a hub for MBAs. Read on for her responses. What courses do you offer at the Dubai campus? Cass established its presence in Dubai in 2009 with an Executive MBA program at the Dubai International Financial Centre, which accepts up to 50 students per year. We also offer two aviation courses in Dubai, the MSc Air Transport Management and the MSc Air Safety Management. Do you see the UAE as a growth market? There’s indeed further potential to expand in the UAE. Dubai is a growth market for education and City, University of London sees it as an opportunity for further expansion. What’s your alumni engagement strategy for Dubai? We currently have over 800 alumni living and working in the UAE, so it is a significant part of our alumni community in the [Middle East] region. We have such a diverse community, so the events we organize for alumni in the UAE are not very different to the events we would host in China or the US. We host at least three alumni events a year. As the Lord Mayor of London holds the role of Rector of City, University of London, one of our events is around the Lord Mayor’s visit to Dubai in January. We also invite our alumni to the graduation ceremony in May and to the welcome the new student’s reception in September. This year, for the first time, we will be hosting the end of year alumni gathering in December and hope for a good turnout. We are currently working with our alumni on setting up an alumni chapter in the UAE in order to have a group of alumni help us engage with our community on a social and professional level. Having people who are local and understand local customs is very valuable to the work of the alumni relations team. What specific cultural differences do you have to be mindful of when operating in Dubai? Our alumni community in the UAE is very diverse; it consists of alumni from the Emirates and the Gulf region, but also a lot of expats who work and live there. We always have to be mindful of cultural differences and local customs when organizing events in the UAE. We have to be aware of specific timings that are good for that region and specific locations that are good to hold our events. One that comes to mind is that the weekend in the UAE starts on Friday and not Saturday like in the UK; we also avoid hosting events in the summer or during Ramadan. Also, at most of our alumni events around the world alcohol is available, but in the UAE you have to be aware that some people may not consume or want to be around alcohol. We have to make sure there are plenty of non-alcoholic drinks at our events and that alcoholic drinks are served only as per request, as we wouldn’t like to offend anyone. We have to be mindful and respectful of the culture in that region, and still provide opportunities for our students to network. How helpful is your alumni base in terms of student recruitment? Alumni are crucial in helping us recruit new students to our Dubai programs. The word of mouth in the UAE is very important, therefore we rely on our alumni to be our brand ambassadors. We invite our alumni to open days to talk to prospective students about their experiences on the course, and how the programs have helped them progress in their careers. After all, alumni are in the best position to promote the program to prospective students. Are alumni equally important in terms of career connections? The alumni community is vital in terms of career connections. 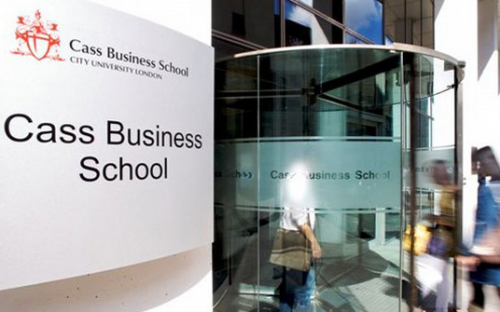 With 38,000 Cass alumni in over 160 countries, the business school relies on our alumni in terms of elevating our brand and spreading the word about our institution. When our alumni move countries, they often contact the alumni relations team to put them in touch with some alumni ambassadors in the area they are moving to. They are looking for a group of like-minded people who will welcome them when they arrive. Trump Vs. Clinton: Who Is The Better Leader?